Orihuela Costa is an extensive stretch of coastline on the Costa Blanca that covers more than 16 kilometers of coastline. In this vast territory are interspersed extraordinary beaches of soft golden sand from where you can glimpse the magnitude of the Mediterranean Sea to beautiful turquoise blue coves suitable for water sports or relax in the sun. Its unique beaches receive the "Blue Flag" and "Q" Tourist Quality badges every year, since they have all the necessary means for you to spend a pleasant day on the beach. Throughout Orihuela Costa you can enjoy the diverse natural, gastronomic or cultural resources that the Spanish Costa Blanca offers you. Its beautiful Maritime walks are dotted with ice cream parlors, bars, live music venues, restaurants and countless gift shops. An extensive leisure offer for all tastes and ages that will allow you to spend pleasant moments listening to music or buying beautiful memories. You will have the opportunity to taste magnificent dishes cooked with the fish that arrive daily at the fish markets of their fishing ports and with the freshly harvested vegetables in the nearby vegetable garden. 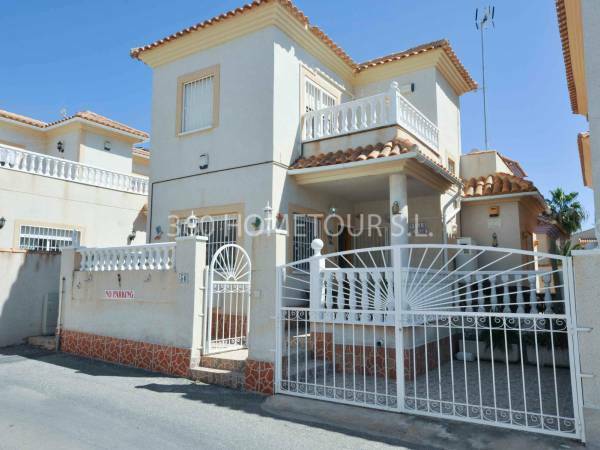 If you want to live in a place where you can enjoy the sun and the sea all year long, then we offer you our villas for sale in Orihuela Costa Spain. On the Costa Blanca you will enjoy an unparalleled climate. Due to its excellent situation, its hot summers are cooled by the breeze of the Mediterranean Sea. In its sunny and bright winters, its mild temperatures will allow you to do any kind of outdoor activity. If you like water sports, Orihuela Costa offers a wide range of fun and entertainment. Along its coastline, you have a large number of marinas where you can hire the mooring of your boat, rent a yacht, or have fun with a wide range of sports. Can you imagine diving and discovering the caves, the flora or the fauna of this magnificent coastline? Would you like to do kayak trips and observe the coast from a totally different perspective? Are you an enthusiast of sailing, rowing or canoeing? 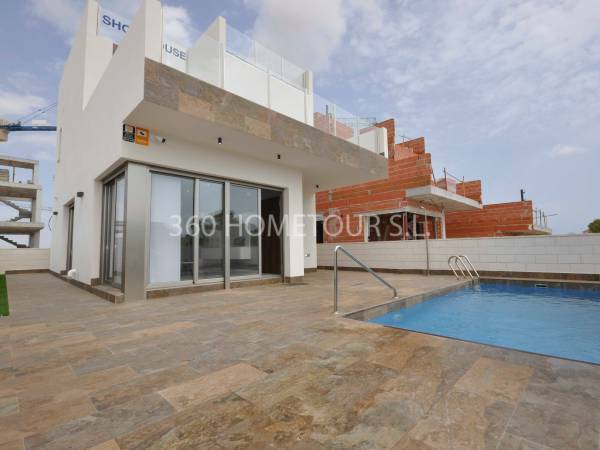 All these options are at your reach if you acquire one of our villas for sale in Orihuela Costa Spain. 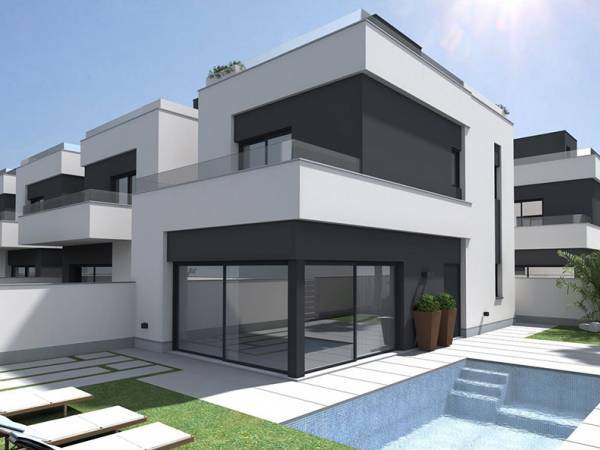 If you want to visit villas for sale in Orihuela Costa Spain, contact us and we will make a studied selection of those villas that can fit in your profile. 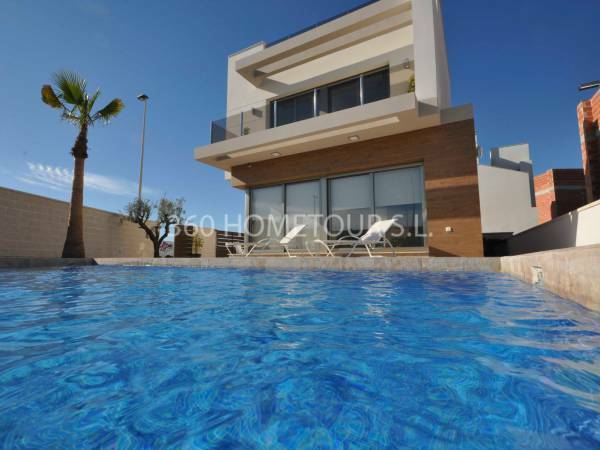 We will send you a collection of villas with a brief description of their main features and a large photo gallery. 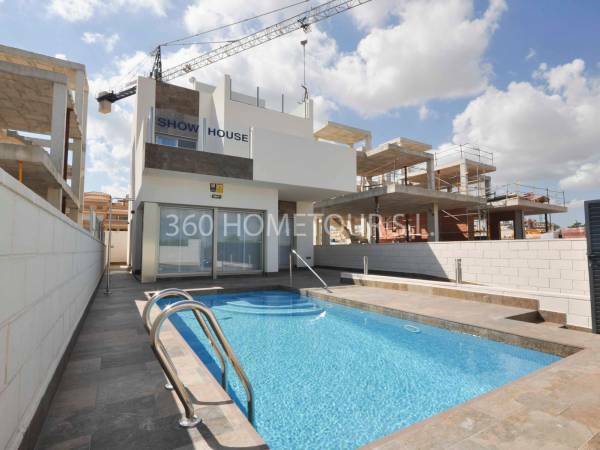 Remember that we also include some 360º panoramic photos, since 360HomeTour was the first real estate company that included this service in the sector. Do not hesitate to ask us any questions that may arise. We will be happy to solve all your questions. Fill out the contact form that appears on the web or visit us at our offices located at Avda. 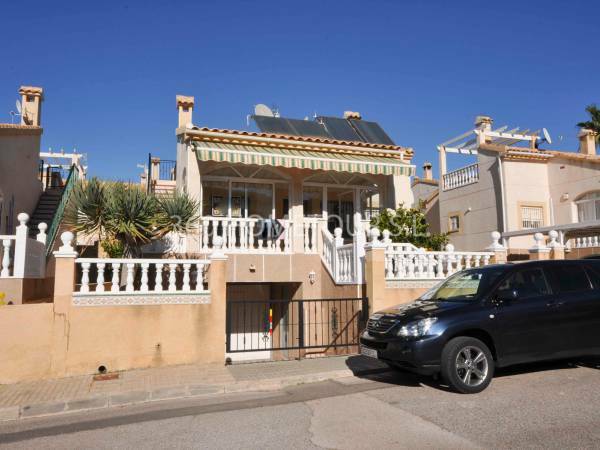 De las Habaneras, 85 - 03182 Torrevieja.